Our journey to 10k customers and beyond. EvantoDesk has been part of the eSpark accelerator programme and the SetSquared accelerator and, without a doubt, the overall experience has been hugely beneficial. But there are things to watch out for because, after all, never forget, this is about you and your business. It is now not only popular and common, but it seems almost startup-socially-essential to become part of a startup accelerator. I mean, if you listen to the majority of the advice out there, then you’ll not succeed without 2 things – 1) VC funding and 2) an accelerator. And, having been involved with two (completely free) accelerators, I can see why they are advised – they’ve both been invaluable. Our main accelerator, eSpark, is the world’s largest people accelerator and has a focus, not on the business, but on the entrepreneurial leader. The other accelerator we’ve been involved with, SetSquared, is a tech-only scale-up accelerator and has a focus on the business, without forgetting the importance of the role played by the entrepreneur. You will not be spoon-fed. That’s right, you will not be told what to do in order to succeed or in order to make X amount of money. They will not make your business a success. They will not pass comment on your business idea. What they will do is get you to come up with the answers – some of which you won’t like. You won’t like some of the answers that you come up with, in fact many businesses will start and end during an accelerator. you’ll learn how to fail fast and fail cheap. you’ll be given great business tools such as the Business Model Canvas. The whole point of the accelerator is to develop you as well as your business and this is done by pushing you. You’ll be standing up in front of rooms of people pitching and presenting. You’ll be giving your views in workshops and thinking on your feet. You already have enough work to do, that’s for sure. Yet the accelerator will add more to your load. Whether by completing exercises, refining your pitch or attending events, you’ll time will be squeezed even more than it already is. Many accelerators (often called incubators) cater for businesses that are still just ideas and, if that’s the case, a business accelerator is just the place for your business because you’ll learn the lean way to succeed and to fail fast and fail cheap. In practical terms this means you’ll realise the importance of getting customer validation on your business idea to ensure that there is a market for it. Spending so much time on self-development can, paradoxically, leave you exhausted and confused; you can spend so much time trying to fit the ideal entrepreneurial mould that you can scatter who you truly are. So, don’t forget to be confident in who you are, where you came from, and where you are going. Absorb the knowledge you are given and realise the areas where self-development would be beneficial. 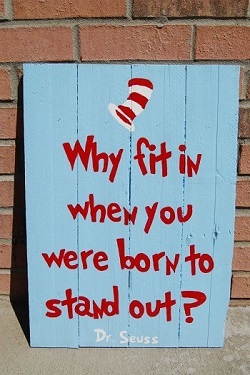 Dr Seuss stated “why fit in when you were born to stand out”. And, in my opinion, that is so true. You, on the other may, may not be of the same opinion. And that’s my point – accelerators can give incredible advice and tips to succeed but the advice isn’t necessarily right for you and, only you can and should decide. Keep thinking outside of the box. So, in all the hustle and bustle of an accelerator, stay in control and make calculated decisions on where you and your business need help. Then act accordingly. I hope this post gives you some insight into what to expect from an accelerator and also gives you some confidence to remain in control of your time and your mind! 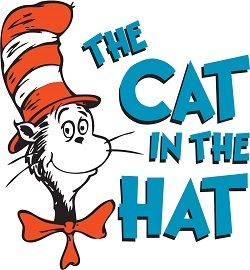 Now, where did the kids put “The Cat in the Hat”?! it’s time to relax, re-charge and read the kids a story.